Many residents have inquired about the removal of trees along 2100 S between McClelland St and 1100 E.
Trees were removed for the impending monument plaza redesign. Crews are scheduled to start work on constructing a true pedestrian plaza the first week of August. The above graphic is an aerial view of the redesign, which will incorporate a small water feature, new pavers and gathering areas. 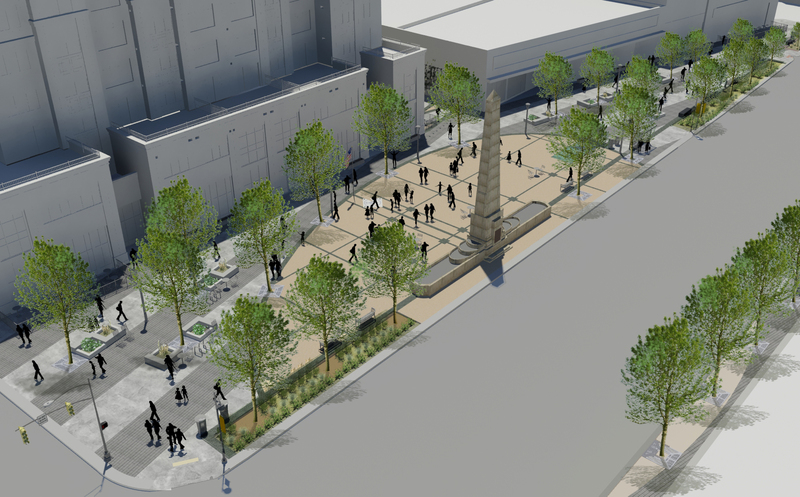 The construction on the plaza is expected to finish in November and trees will be replanted on both the plaza and the north side of the street.